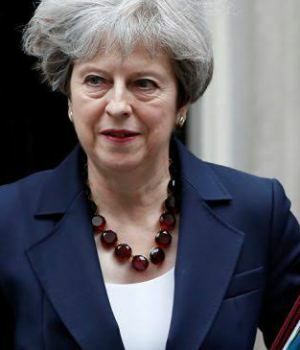 British Prime Minister, Theresa May, says Nigeria is the home of the highest number of poor people in the world. She said Africa has the highest number of poor people in the world, stating that 87 million Nigerians were living below the poverty line of $1 and 90 cents per day. May said achieving inclusive growth is a challenge across the world, adding that Africa needs to create 50,000 new jobs per day to keep employment rate at its current levels till 2035. “I am unashamed about the need to ensure that our aid program works for the UK,” May said, adding that a healthy African economy is a good news for the UK. The UK has one of the biggest overseas aid programmes in the world, expending $18 billion on aid overseas in 2017 alone. Theresa May will be meeting President Muhammadu Buhari later this week.